Humble beginnings for the King of kings. Imagine, you are walking through the fields, tending your sheep, when suddenly, an angel appears to you! You cower in fear, not knowing what you are seeing. As the angel begins to speak, your fear melts away. The King of kings has been born and He just happens to be close enough for you to walk over and see Him. The angel invites you to go and see the tiny Savior. You go to visit Jesus. You see the King of kings who will do amazing things. He has not come into the world through a rich and powerful family, nor did he arrive in the form of a grown man. 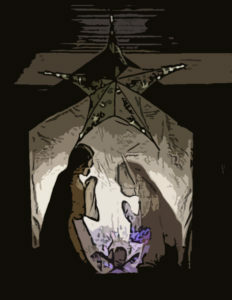 He is a tiny, fragile baby lying in a manger with His young mother and His earthly father. The family is staying in a place where animals are kept. This is the King of kings! We can learn a lot from the humble beginnings of our Lord and Savior, Jesus Christ. The baby, who would one day become a man of miracles, teaching, and compassion began His life in a stable. It is important for us to remember God set out a plan from the first sin in the Garden of Eden to send His only Son to save those who believe in Him. God also created a plan for Mary to give birth to this Savior. Rest assured, God also knew where Jesus would be born. 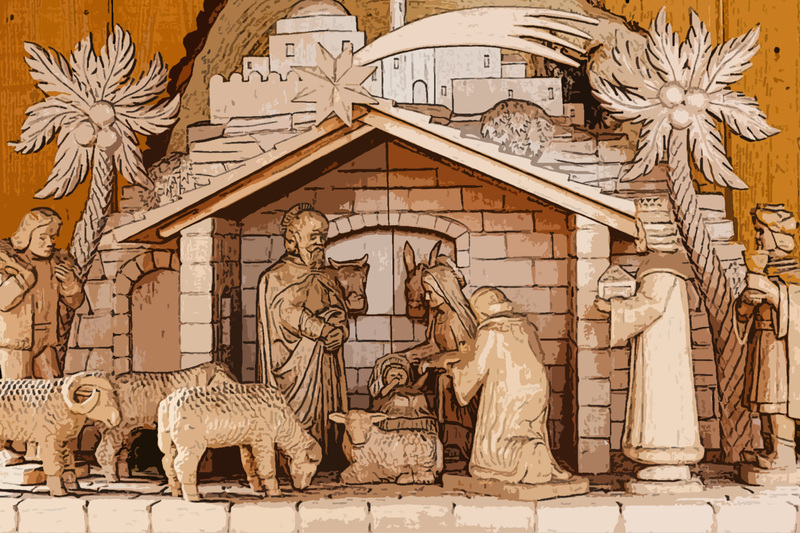 So why, then, would God choose a stable in Bethlehem for the birthplace of His cherished Son? Well, only God knows with certainty, but think about the life of Jesus. Jesus always taught people about His Father. Perhaps Jesus’ birth was God’s way of showing us what Jesus’ life would be like. Perhaps God, in His infinite wisdom, chose a stable to demonstrate the need for us to come to Him with humility. After all, God could have chosen anywhere for His Son to be born. What is more, God could have chosen any form of human for His Son. God chose to send Jesus down to earth as a tiny baby. Jesus was fully human. From the very beginning of His life, Jesus learned what being human was all about. Jesus came as tiny and vulnerable as every other human who had come before Him and every human who would come into the world after Him. Jesus was born the same way many children are born today. He was born in a place that was not His home, to a mother who was very young. His earthly father was looked down upon by many people because Mary conceived Jesus before they were married. It was in the face of great adversity that Jesus came into the world. While this may not seem fitting for a king, it was well suited to the King of kings. It was through adversity that Jesus lived His entire life. Not only was He constantly criticized and scrutinized, but so were the people He reached out to save. At Christmas, we often get so caught up in the wonder of seeing angels and Magi that we overlook how incredible it must have been to see the tiny Savior wrapped in His swaddling clothes and lying in a make-shift bed. God is so creative and so thoughtful to have sent our Savior in a form that we could recognize and identify with. Even those who have very little on this earth see a glimpse of themselves in this situation. The King who began life as a tiny baby would grow up to be all of these things. He would also be the light and glory of a nation that believes in the one true God. He came to wash away their sins and be a bridge back to God. This is what Christmas is all about. May the peace and the light of Jesus Christ our Savior be with you during this Christmas season. May God bless you and keep you and may you be reminded of the miracle that God brought to earth all those years ago.